1. It's much more insightful to hear someone's voice than read an article. You get a much better feel for their personality and passion for design. 2. Megan, Joni, and Linda are your average down to earth women who love interiors and design, so they always ask their guests the same questions that I want to know the answers to. I feel that editors and reporters sometimes report on or ask things that I don't care much about. In the words of Nacho Libre, these women get down to the "nitty gritty". 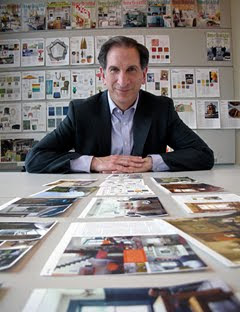 Their latest discussion was with Stephen Drucker, editor of my favorite design publication, House Beautiful. What an awesome opportunity for them to interview him and for all of us to be able to listen in. I recommend checking out The Skirted Round Table and seeing what interviews and discussions they have done that might interest you. Some of my favorites have been Stephen Drucker, Charlotte Moss, and Jennifer Boles from the blog "Peak of Chic". wow - t hank you !!!!! what a sweet thing to say - much appreciated!! just wait for our next interview - you will love it!! Hi Brittany - thanks for the shout out and kind words about Skirted Roundtable. The best is yet to come! Thanks for your comments ladies! I only speak the truth! The Skirted Round Table fills a big void that was missing in regards to design on the web. Can't wait to hear your discussion with Beth Rubino!